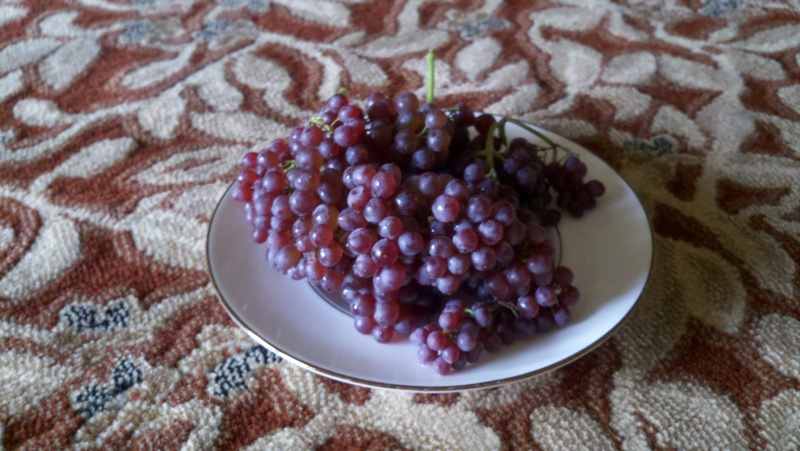 You are currently browsing the tag archive for the ‘grapes’ tag. Had this again at Paris Baguette. Portions are so much bigger but quantity does not equal quality, especially in this case. I did not find this very flavorful and had way too much shaved ice on the bottom. I also did not like how they added milk to the bowl, it made the dessert very soupy. The baked goods looked very good though but did not have a chance to try them. Looks cool, tastes great, but impossible to eat. Unless someone collects these tiny morsels in a bowl and hands me a spoon to shovel them in my mouth, it is way too difficult to eat. 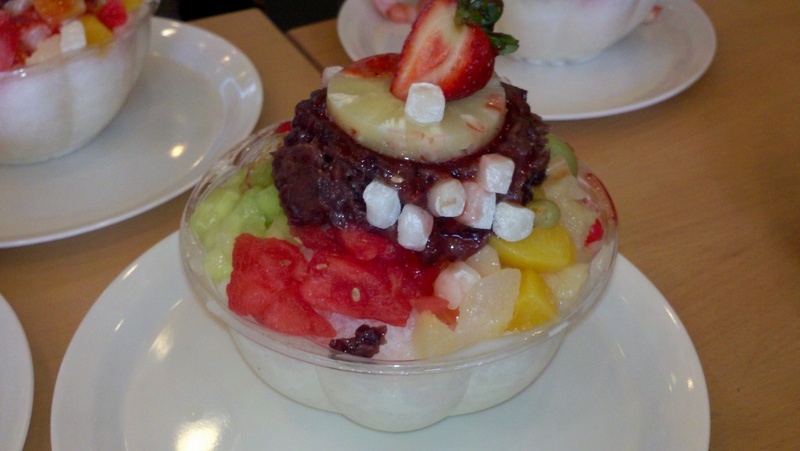 Went to H Mart’s food court which features a bakery called Tous Les Jours, which serves patbingsoo or shaved ice with fruits. It was so hot outside and this was a welcome treat. My patbingsoo was topped with bananas. 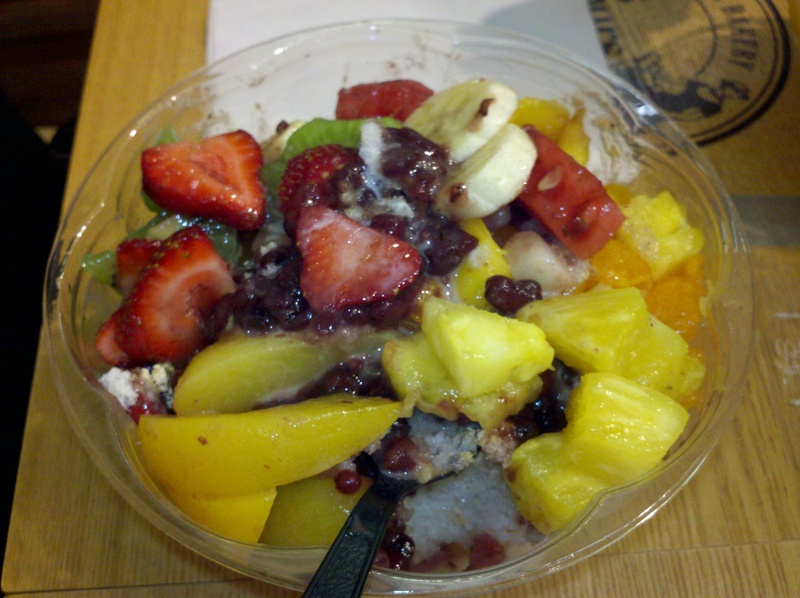 kiwis, strawberries, sweet red bean, oranges, pineapples, peaches, and rice cake cubes, all on top of a bed of ice. I mixed it altogether and it brought back memories of childhood. I remember the last time I had this was when I was about 10 years old.